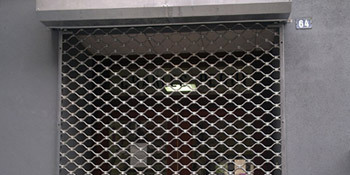 Roller and security shutters have been used in the UK for added protection for many years and have a number of purposes. Of course, the most important reason for having a shutter installed would be for added security on doors and windows. The roller shutters can be fitted on the outside and inside of properties and retract into a slimline box. Quality roller shutters tend to be manufactured from aluminium, making them both strong and durable whilst ensuring they won’t rust. In fact they’re pretty much impenetrable and a brilliant deterrent to ward off potential intruders. There are many hidden benefits associated with security shutters that only become apparent when they’re used on a regular basis. There’s no denying roller shutters will instantly improve the security of your home or businesses. They’re great for securing a shop overnight and protecting your home when you’re away. Because of the strength they’re resistant to large impacts and are almost impenetrable. Heat is lost through windows and doors because of poor energy efficiency. But with roller security shutters you’ll be able to retain this heat, lowering your bills throughout the year. Foam filled aluminium shutters have even better insulation properties so you’ll save even more with this type. If you live in a busy area, roller shutters are brilliant at cutting noise from entering your home. They will act as a buffer and will even allow you to have loud music on without bothering the neighbours. Security or roll down shutters can be operated with ease and require either a pull cord or electric motor operated by a remote control. The benefit with electric controls is that you can set a time for the shutters to automatically open. If you want to improve the security of your home or business there’s nothing better for the windows than roll down shutters. With a range of other benefits they’re suitable for every property. For up to four FREE quotes from local, vetted and reputable companies, just complete our quick form below. Project: Please can you recommend someone to repair our double length shutter. It is heavy duty and has slightly come off its runners. Project: I am looking for external window shutters for use on a retail premises, 2no to suit a window aperture of 1680 wide X 2430 high (wouldn't need to be full height).